All week we have been talking about Jay's work's open house. 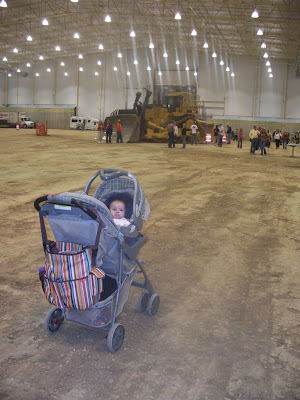 Addi was super excited to see where Daddy works and talked about it non-stop. Well, Saturday morning we woke up and started getting ready. I grabbed the laptop and sat in bed to check the weather report and Addi ran off. A few minutes later I went to look for her and she was sitting in her bed. 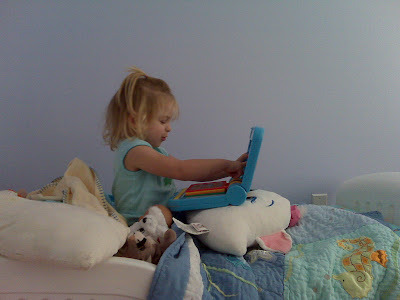 She had gone downstairs, got her toy laptop, and was doing exactly what I was doing. So cute. Right before we left the house, Addi grabbed her computer again and I asked why she was bringing it. She said, "I need it for work." Apparently she thought she was going to work too! Funny girl. 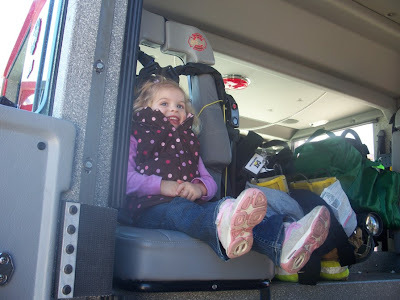 Then Addi got to sit into a fire truck and was SUPER excited. 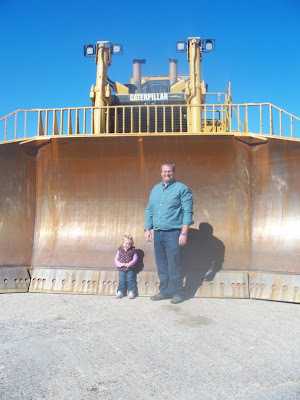 Between fire trucks and school buses, the kid doesn't know which to love more. Sam of course took it all in and loved every minute. Here she is in the new testing facility - very impressive! 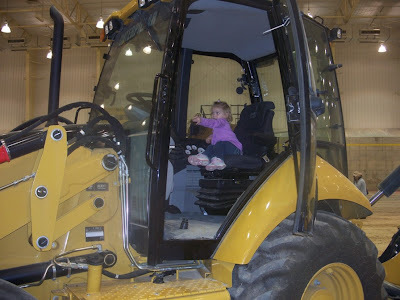 Finally, Addi got to climb up into a few machines and pretend to drive. She was in heaven. Fire trucks.... running in the dirt... ice cream... what more could you want. How Fun! Caroline would have passed out from excitement from ALL. THOSE. TRACTORS! Hey! We were there on Saturday, too....from about 1 p.m. to 2 p.m. It is a nice facility! Jack actually liked the demonstration.